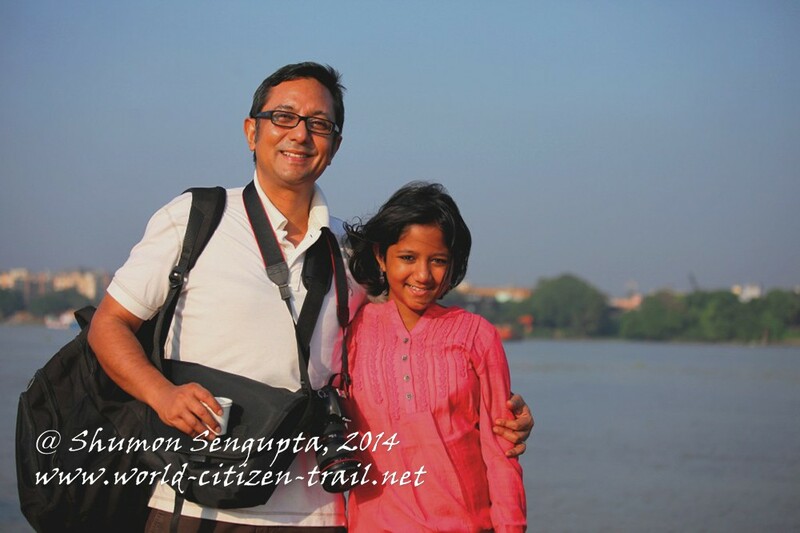 The five day long Durga Puja is a Hindu festival that celebrates the eternal conflict between good and evil and the eventual triumph of forces of good (represented by Goddess Durga) over that of evil (represented by Mahishasura – or the Buffalo demon). 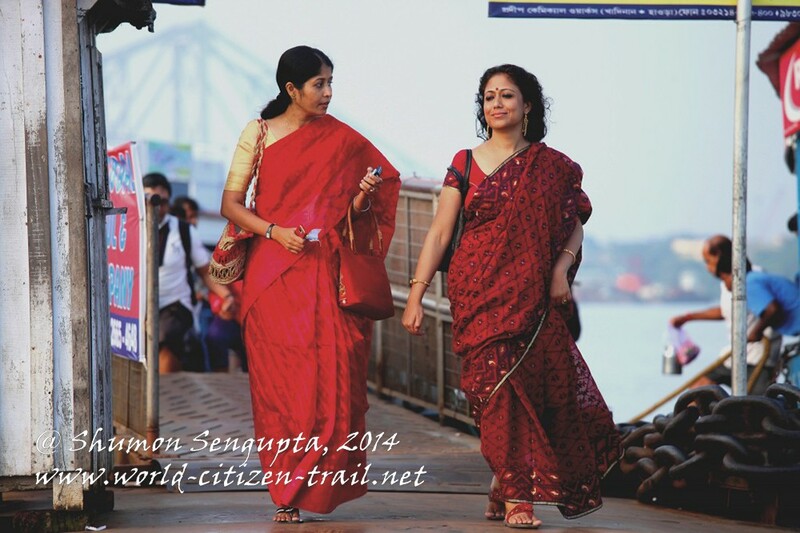 Durga Puja is also in many ways the celebration of the “sacred feminine” or female power. Goddess Durga or Maa Durga as she is commonly known is a Hindu goddess who is worshipped as an embodiment of creative feminine force. On the other hand she is also worshipped as Shakti – the source of power in which she is invincible; as a slayer of demons and evil forces, she is depicted in her terrifying form. At the same time, she is also considered as the Mother of the universe in her gracious and protective form. Decorative pavilions, called Pandals are erected by local community based organizations at public places for the celebration, for which clay idols of Durga and her four children – Ganesha (the elephant headed deity who removes obstacles); Saraswati (the deity of learning and arts); Lakshmi (the deity of wealth, beauty and grace) and Kartikeya (the deity of warfare) are installed for ritual worship. Many scholars consider these four deities to represent the attributes of Goddess Durga herself. 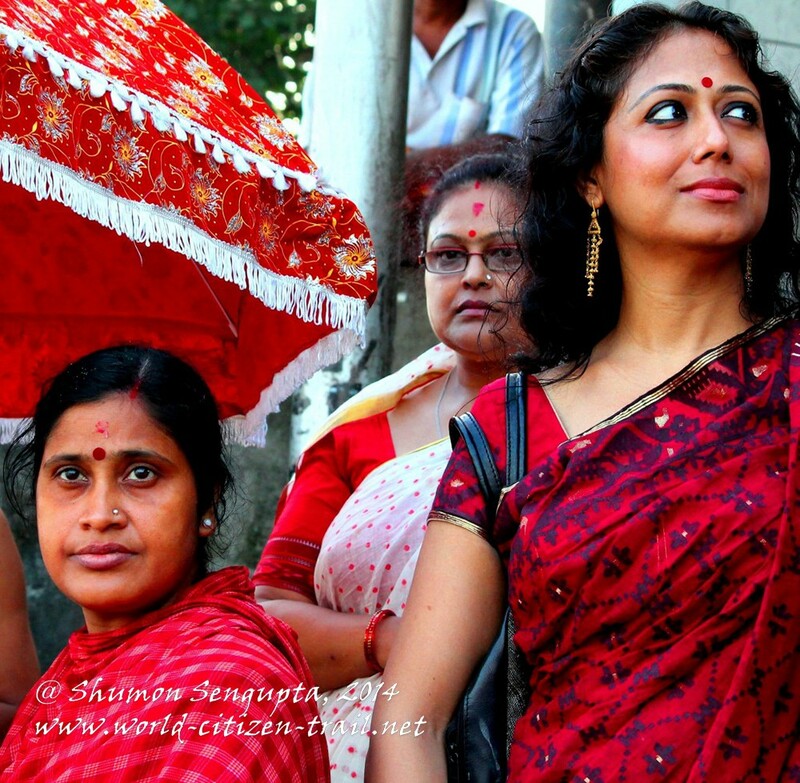 Since long, one of the most abstract, curious and intriguing images of the Durga Puja for me has been that of the Navapatrika (also known as the Kola Bou) – the strangely anthropomorphic Banana plant, clad in a Saree (generally white, with a red border). The Navapatrika is installed at the worship alter in the pavilions on Saptami – the seventh day of the new moon of the Ashwin month (September – October) along with the clay idol of Goddess Durga and her four children. 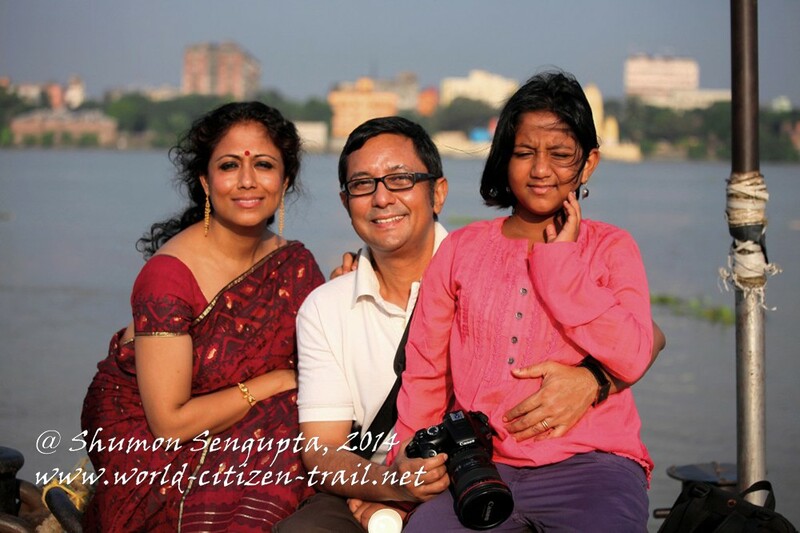 I have always wondered what the esoteric Navapatrika image and the ritual associated with it meant and this time during my annual sojourn to Calcutta, I decided to investigate this in some depth. 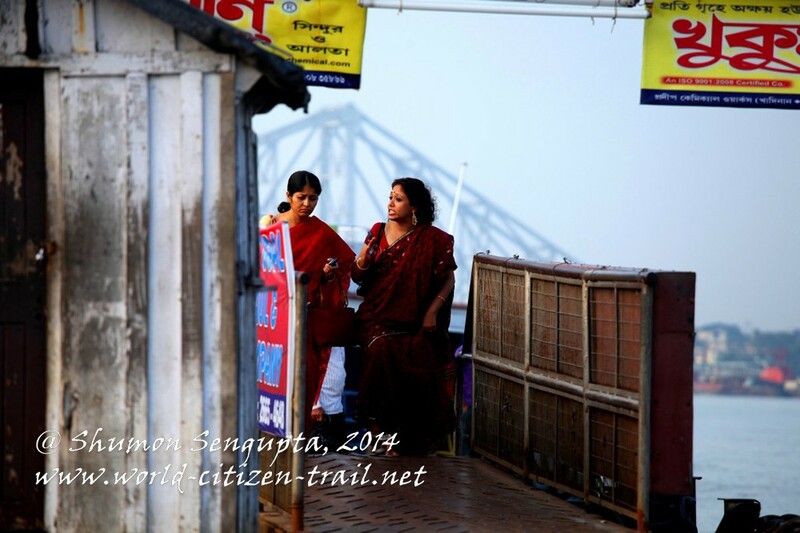 I headed for the Ahiritola Ghaat (flight of stairs at the river landing) – one of the major scenes for the ancient Navapatrika ritual by the banks of river Hoogly in North Calcutta. 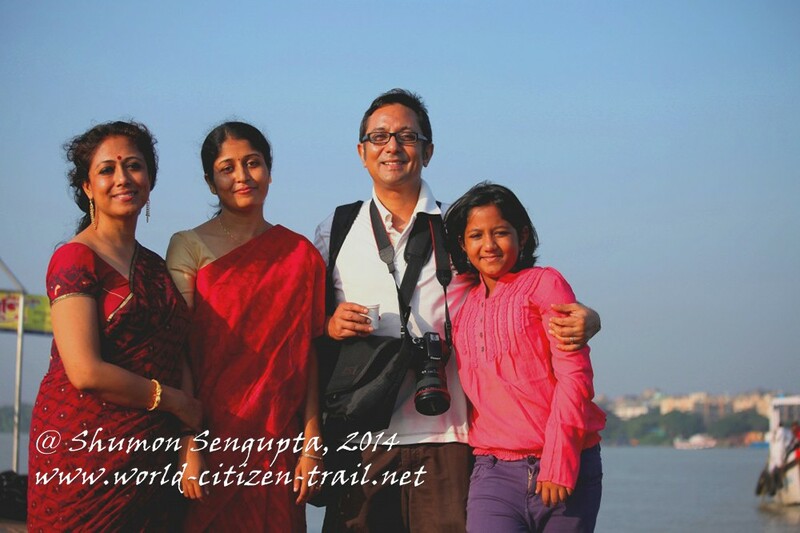 Our photographer friend Ridwan Adid Rupon from Bangladesh and another friend – Dr. Atasi Nanda Goswami, a linguist and researcher in cultural anthropology in Kolkata joined me, my wife and my daughter for this trip. 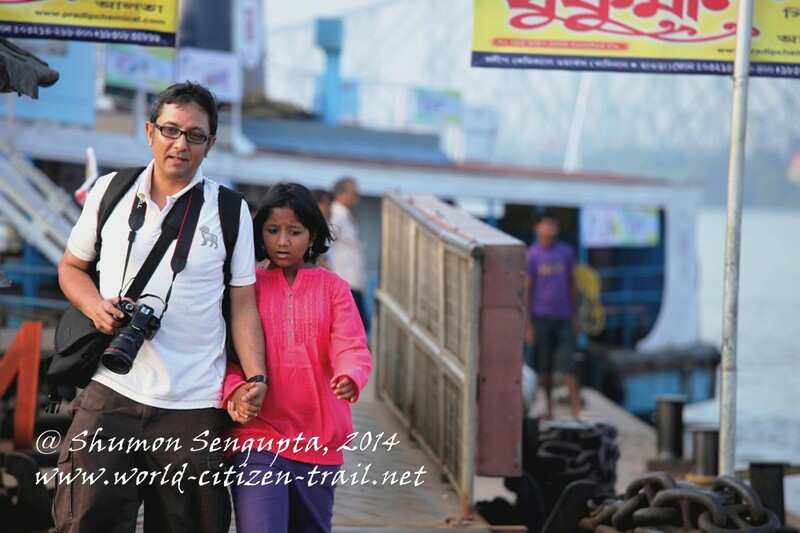 Atasi informed me of the symbolism behind the Navapatrika, on which she has done some pioneering research earlier. 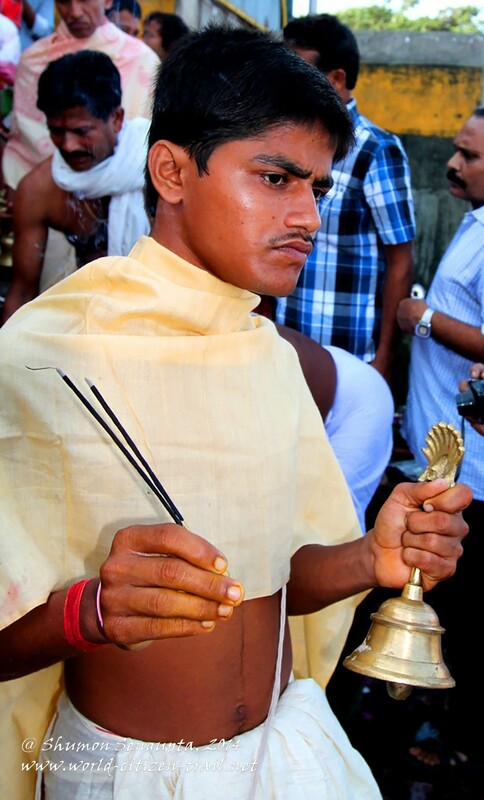 We headed for the Ahiritola Ghaat driving through the lanes and by lanes of North Kolkata around five in the morning to witness the ritual live, in order to unpack its origin and significance. 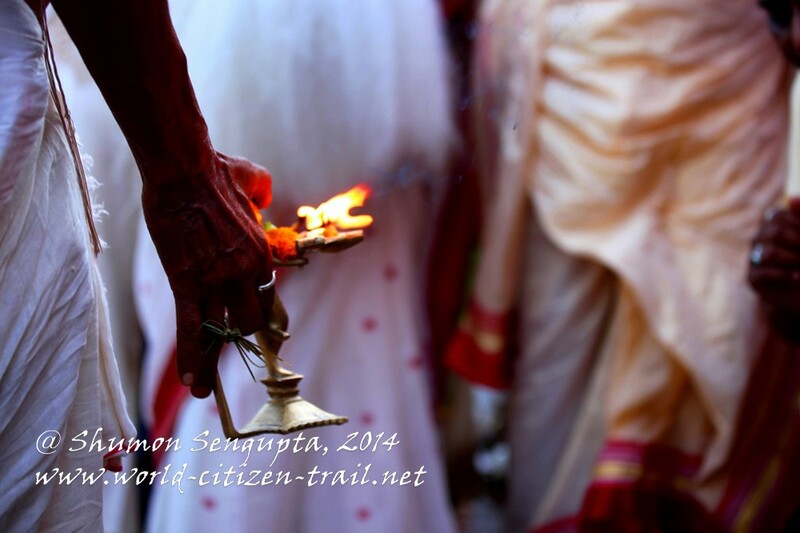 The Navapatrika ritual marks the beginning of the Durga Puja. At this ritual, nine different plants (agricultural, horticultural and herbal) are tied together as a fertility symbol / prop, representing different anatomical features of a woman. For example, the banana plant depicts the body and a pair of wood apples attached at the middle, the bosom. 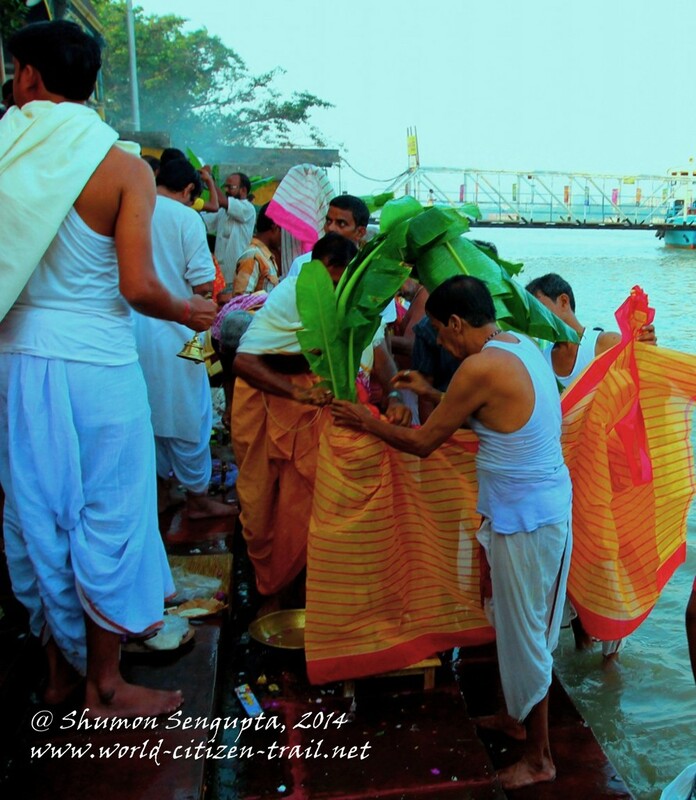 The Navapatrika prop is then given a ritual bath in the river, wrapped in the six yard Saree to represent a newly-wed bride and then carried off for installation at the main worship alter. The nine plants of Navapatrika – the Banana plant; the Colocacia; Turmetic; Jayanti (sesbania seban); Bel or wood apple; Pomegranate / Fig; Ashoka leaves (saraca indica); Arum plant and the Rice plant also represent nine deities, or the nine different forms of Goddess Durga. The ritual started at the break of dawn and we witnessed groups of devotees bringing the Navapatrika ensemble to the river bank, give it a ritual bath and then wrap it in a Saree, to the accompaniment of beating of drums, bells and gongs, the chanting of ancient mantras and waving of ceremonial lamps and incense, hoisting of colourful ceremonial parasols, the blowing of the conch and swaying of ceremonial fans. 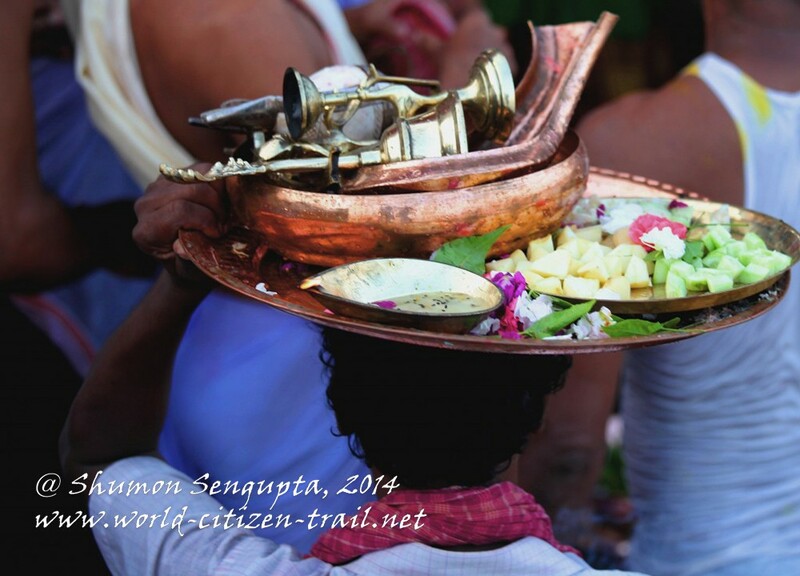 Offerings of raw and cooked foods were also made. 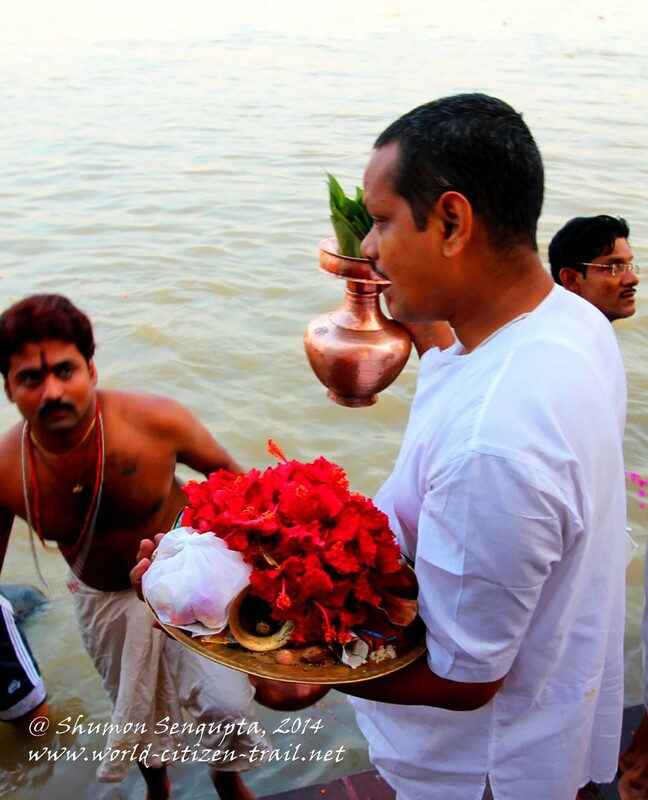 At the ancient Ahiritola ghat we jostled with hundreds of devotees in full ritual fervour, conducting the Navapatrika ritual. 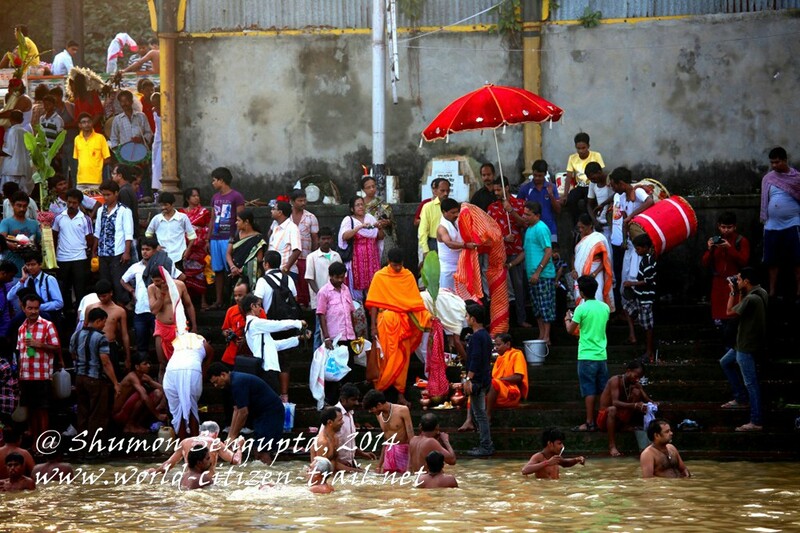 While the details of the ritual varied between group to group, the common features of the ritual included devotees standing in neck deep water and offering grains of rice, flowers and fruits to the Sun God. 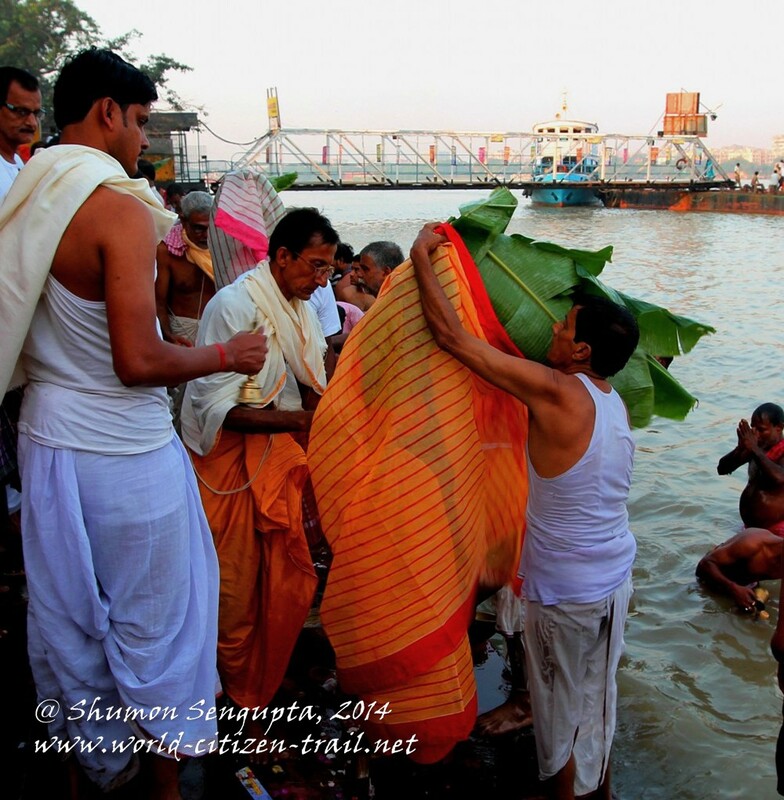 The Navapatrika was then brought draped in a country cloth (the gamcha or checkered towel) in which she was given an elaborate ritual bath. 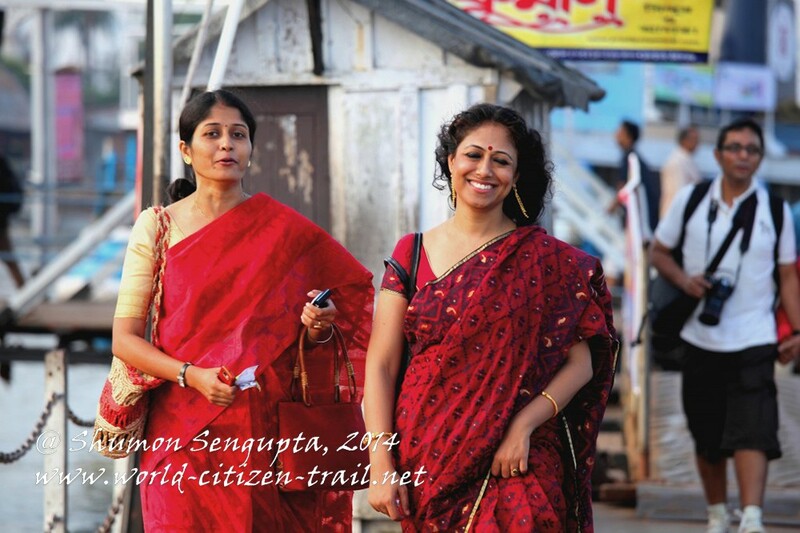 She was then shielded (just as a woman would do while changing her cloths) and changed into the saree. 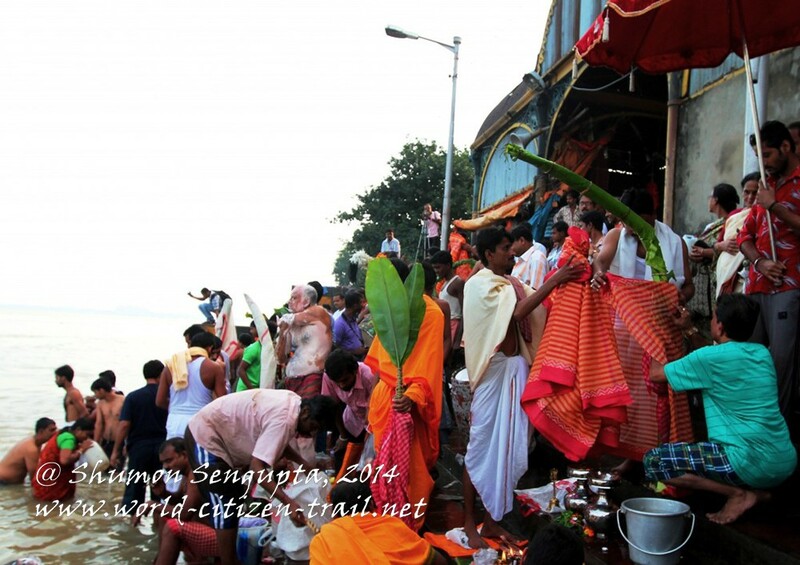 After this, the priests conducted the worship with flowers, fruits (three underground and six areal) and other offerings. In some cases, cooked foods such as rice pudding or sweet yogurt were also offered. 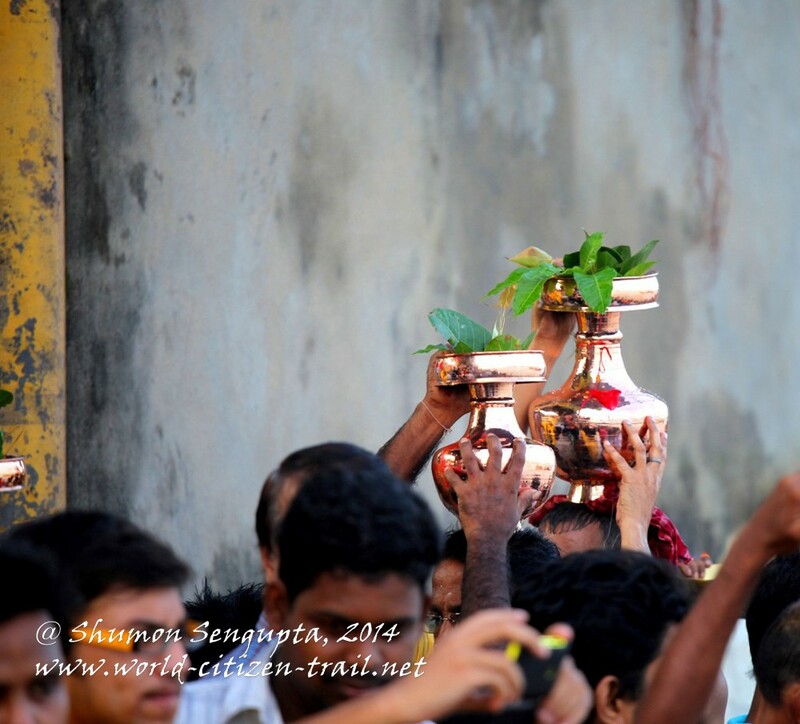 Along with the consecration of the Navapatrika, the priests also assembled the Mangal-Kalash – or the sacred earthen or brass/copper pot holding holy water. 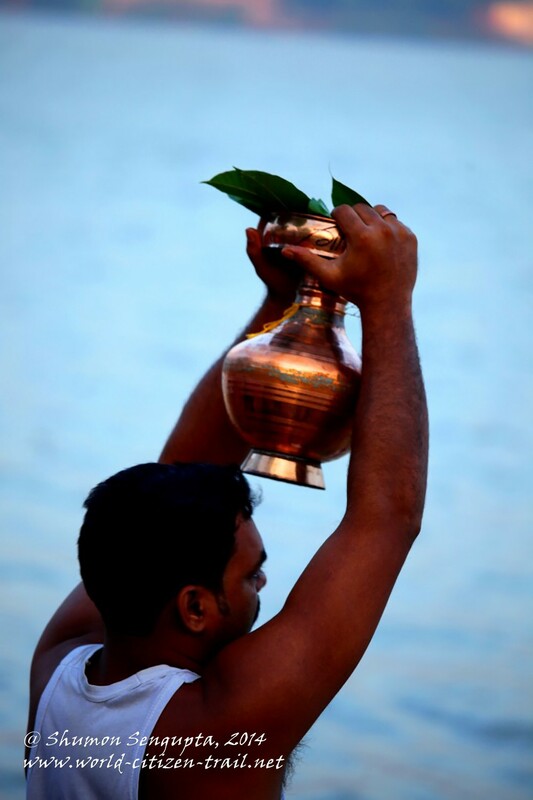 The pot of water is symbolic of the womb and also of life giving water and is worshipped with mango leaves, a tender coconut, vermillion and turmeric – once again symbolizing fertility and fecundity. 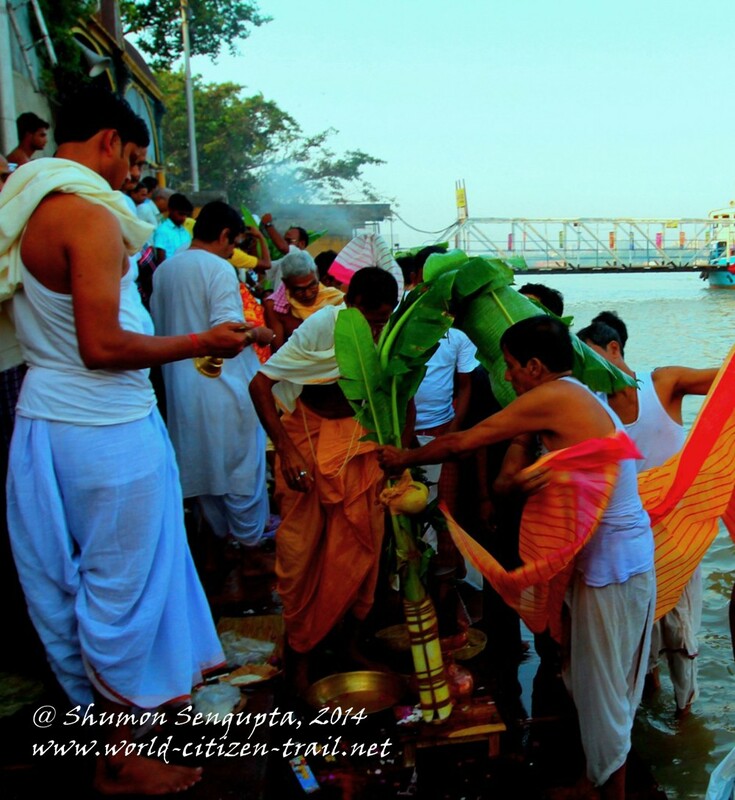 Goddess Durga is considered to reside in the sacred pot during the four days of the Durga Puja. 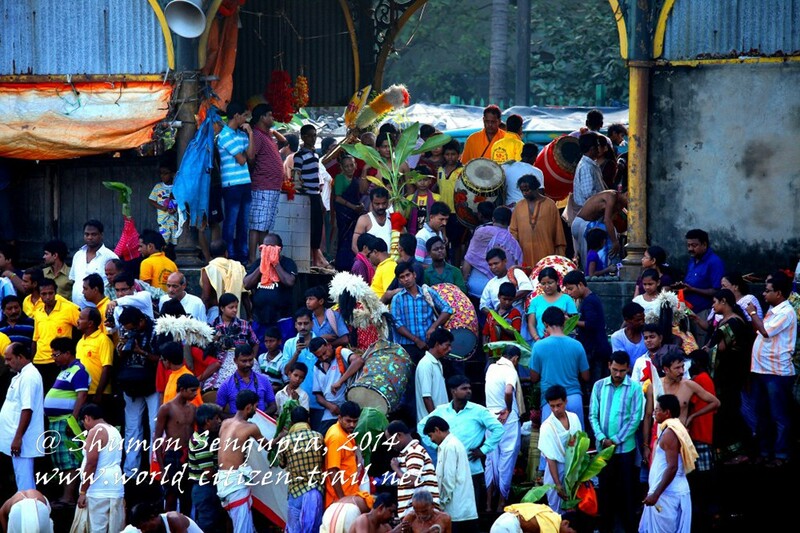 Both the Navapatrika and the Mangala-Kalash were then carried in colorful processions to the worship alters. 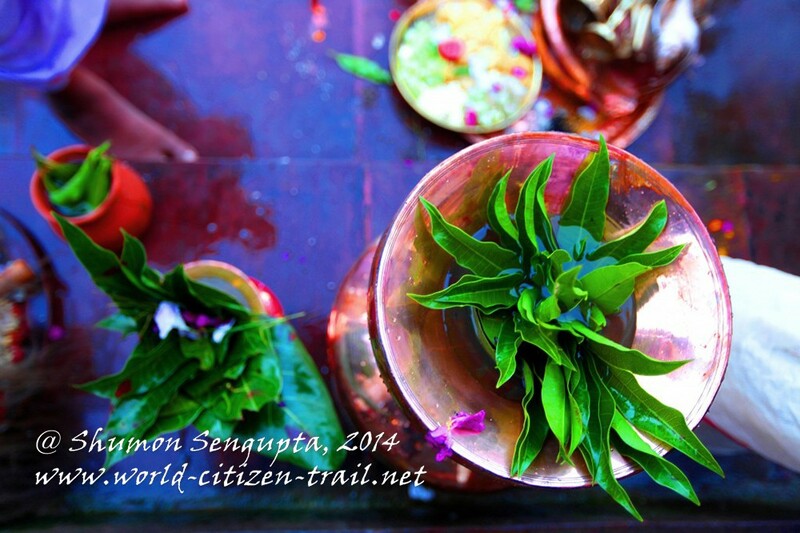 At the worship alter, the Mangala-Kalash or the sacred pot is generally placed along with a small conch and conch bangles (worn by Bengali married women), ritual threads and worshipped with flowers, vermillion, turmeric and sandalwood paste. 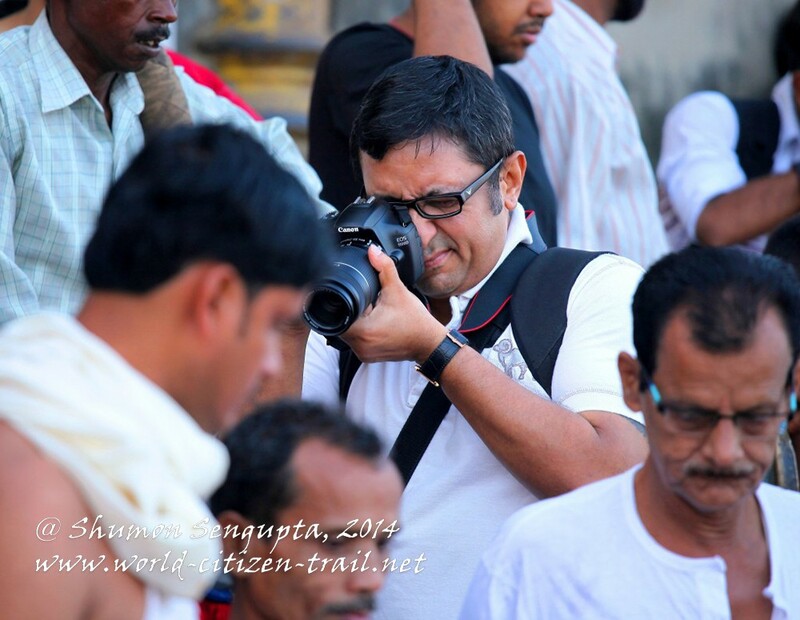 At the Ahiritola ghaat, we struggled alongside the devotees to get a good foothold on the slippery steps and secure the best angles and frames for the photographs. The sights, sounds and smells combined to transport us into an ancient and mysterious time wrap. 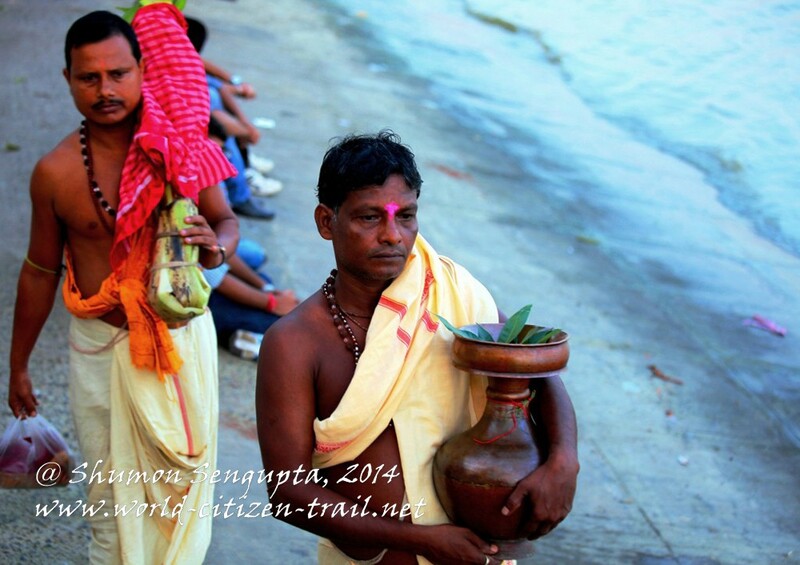 Both the Navapatrika and the Mangala-Kalash were eventually carried in colorful processions to the worship alters. 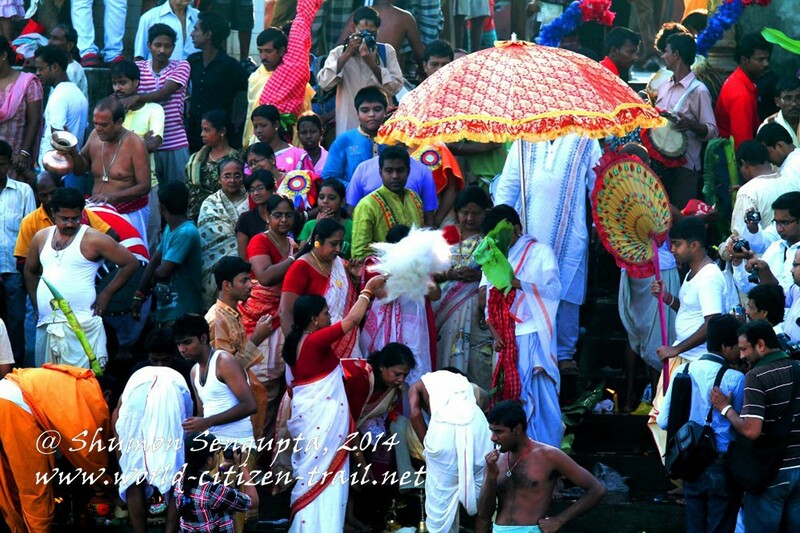 In South Asia, since the early days of human civilization, certain days or periods in the annual seasonal cycle were set aside for ritual celebrations. These rituals and ceremonies underscored the importance of agriculture, rivers and forests in the lives of people as they evolved from a nomadic lifestyle to more settled agriculture based culture and civilization. 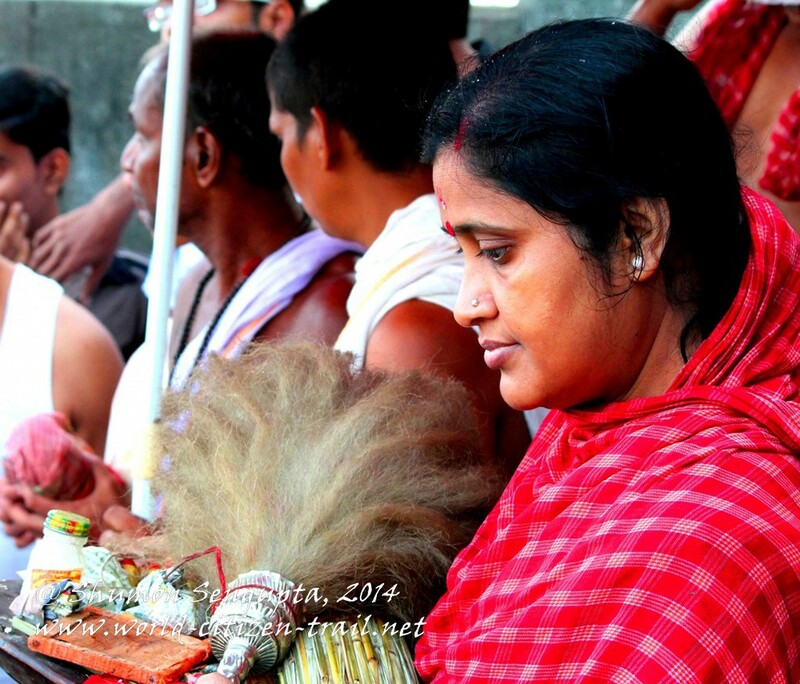 The Navapatrika was one such agricultural / harvest ritual intimately linked with fertility. Bengal folk history suggests that the origin of Durga Puja lies in the more ancient and abstract practice of Dharitri puja (earth worship). 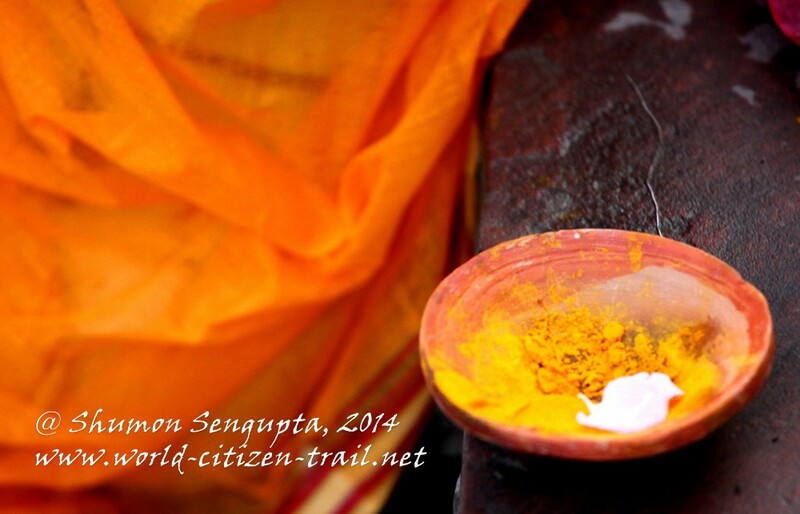 Offerings made before earthen mounds sprouting grass were the earliest form of the Dharitri Puja. According to Historian Ashutoah Bhattacharya, as primitive animism was replaced by more organized forms of Hindiusm, particularly the Tantra, the earlier and more abstract Earth–deity was transformed into the more concrete mother goddess or Shakti from which later day Gods and deities such as Durga, Kali or Laskshmi emerged. 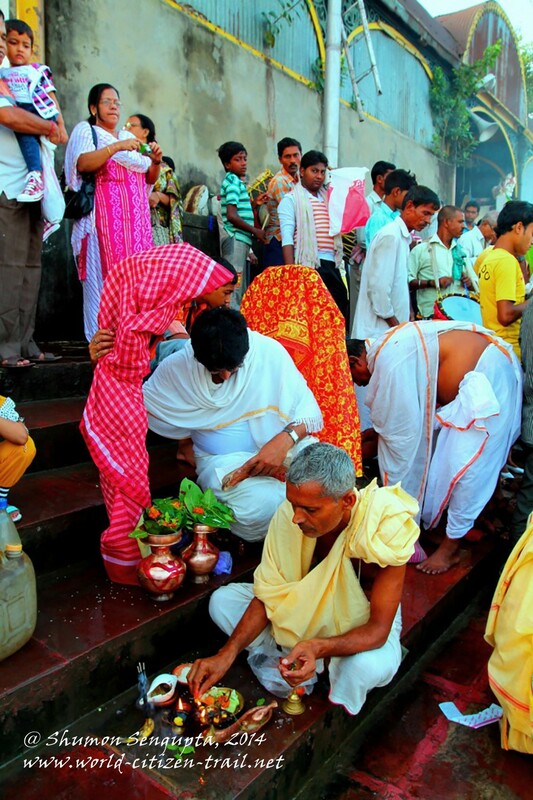 While the Navapatrika ritual has found its way into the mainstream contemporary Durga Puja festival, originally it was a popular agricultural ritual performed by the peasant folks for a prosperous harvest. It was during the autumn (Sharat), the time for reaping crops (the Aman paddy) that the peasants worshipped the Nabapatrika deity for a good harvest. 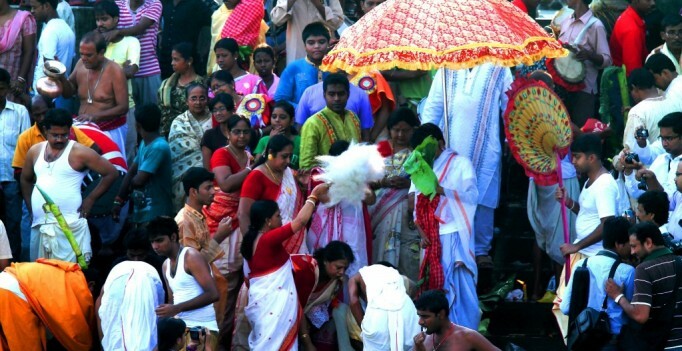 One can therefore safely assume that the Navapatrika ritual was a precursor to the Durga Puja in that it represents a primitive form of Goddess Durga. 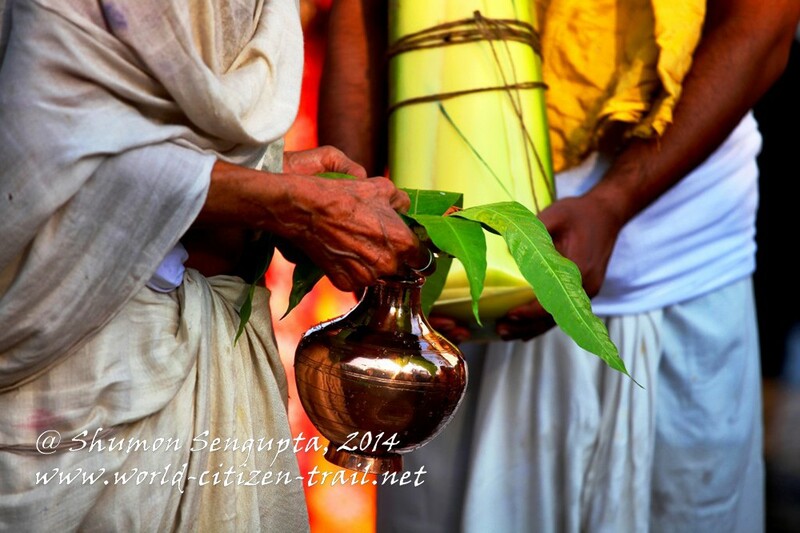 The Navapatrika ritual is in many ways also a thanks-giving ceremony to nature for her bounty. 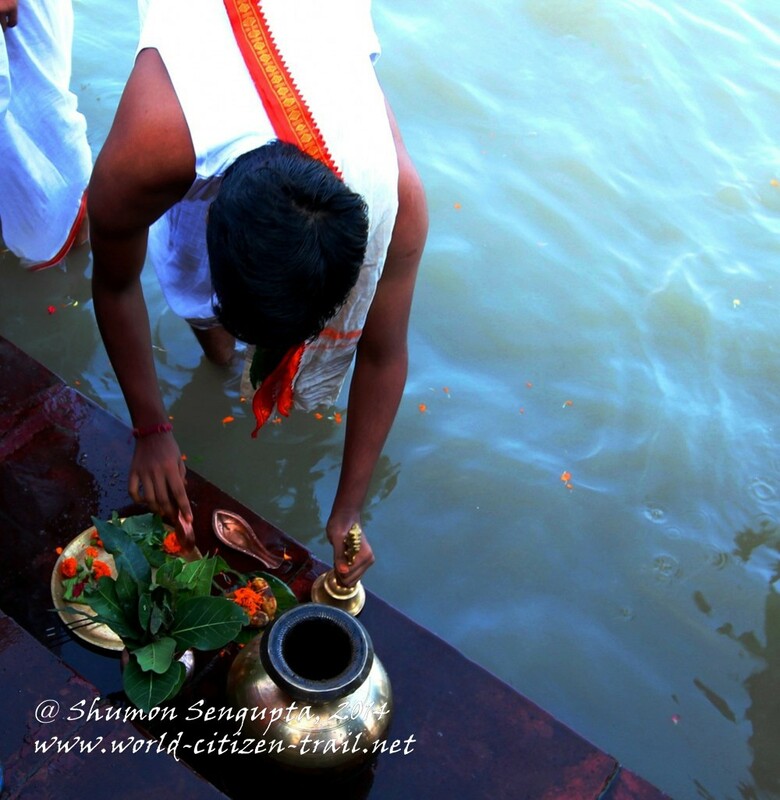 It is a living relic of the practice of nature worship by the ancient people of the subcontinent and predates the emergence and predominance of idol worship in Hinduism. 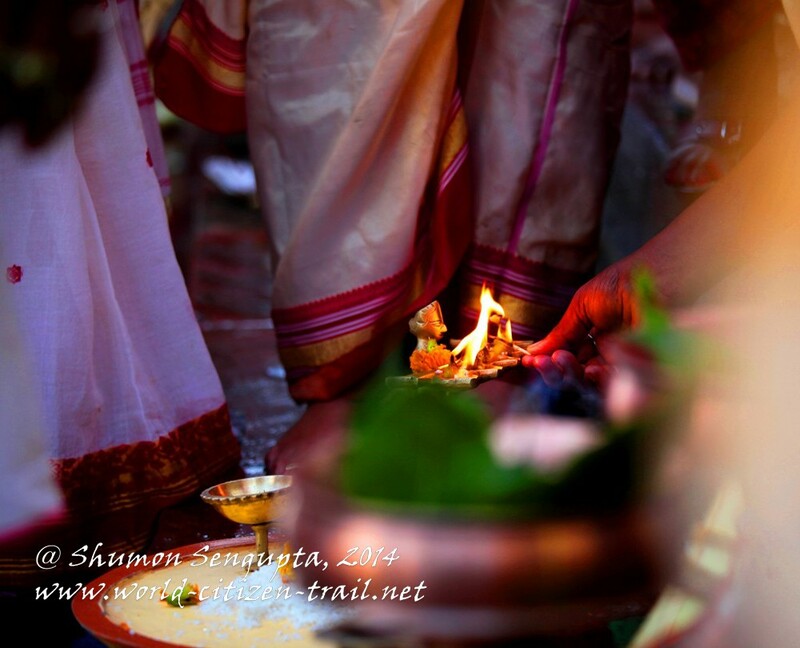 For me, the Navapatrika ritual stood as a fascinating symbol of the celebration of female power and the regenerative and restorative aspect of nature, which many Hindus consider as divine Mother. What amazed me most was that an ancient harvest and fertility ritual had managed to survive for thousands of years through to the present day. 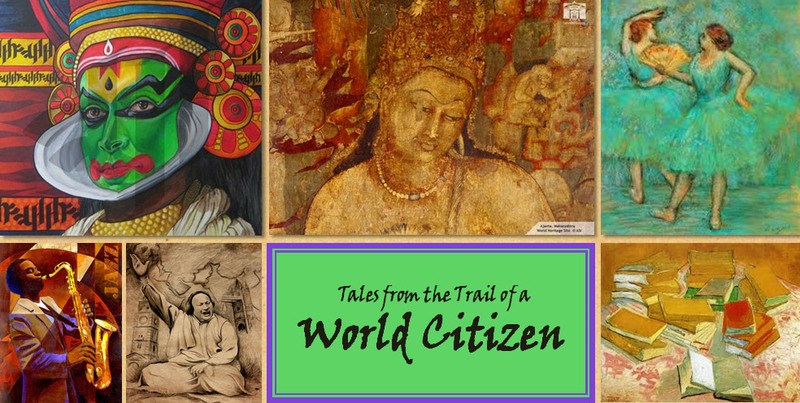 It linked modern India with its distant, ancient past and represented a great civilizational and cultural continuity that is difficult to find anywhere else in the world. However at the same time, I realized that there was a profound contradiction. 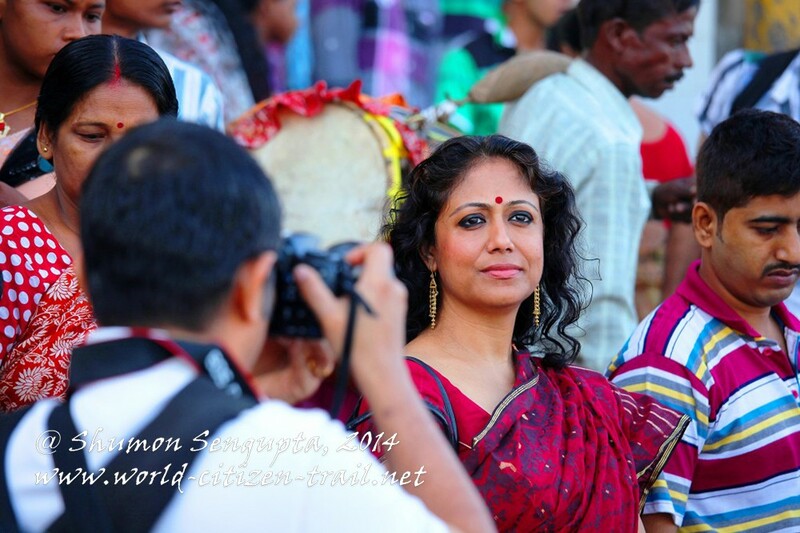 While being a grand spectacle and a delight to the senses, sadly for me the ritual was not representative of the reality of our daily lives in South Asia, where we are witnessing increasing incidence of gender based violence, oppression and discrimination and a total disregard to environmental protection. 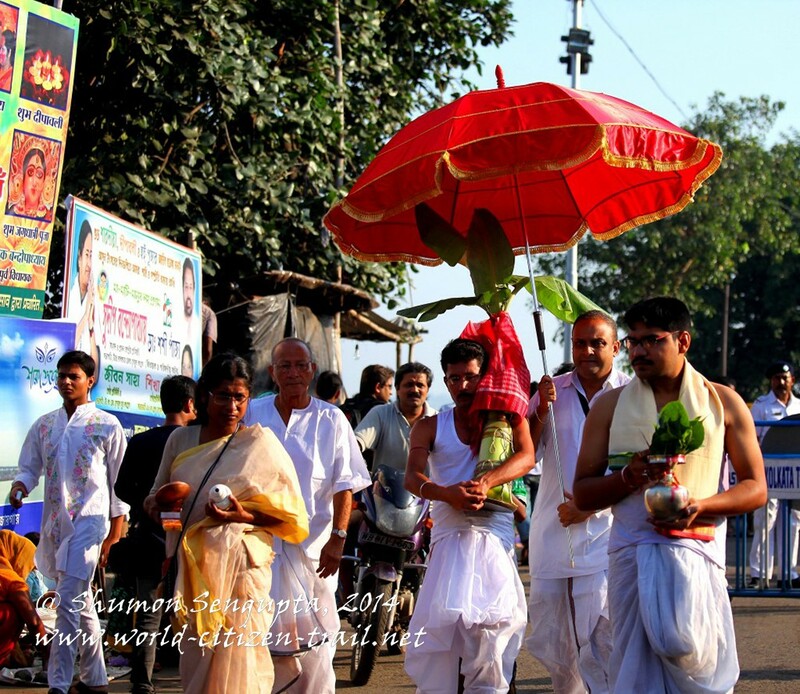 In my mind, the ritual stood in stark contrast to the real status of girls and women in our society and increasing environmental degradation and loss of biodiversity in the subcontinent. Pregnant with important symbolism, ancient rituals such as those associated with the Navapatrika will attain their true value only when these are translated into positive individual and societal attitude towards girls and women and towards nature and our environment on the whole. Or else, such rituals will remain at best tokenistic vestiges of an ancient past and at worst, a gross hypocrisy in contemporary life in South Asia.